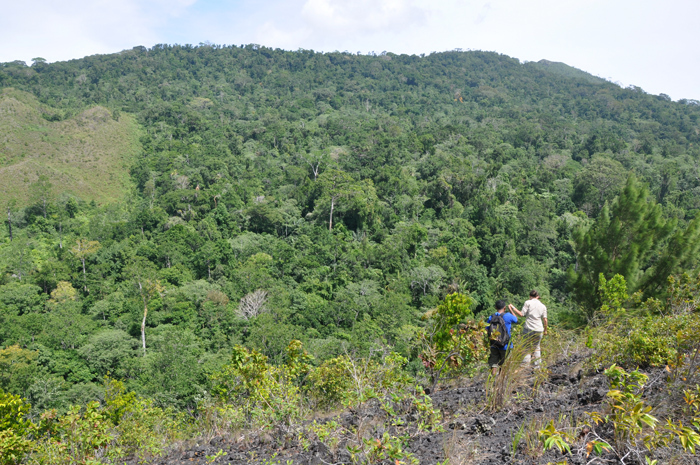 Batu Angus Nature Reserve is located next to Tangkoko nature reserve and home to many amazing creatures. You can find Black Macaque monkeys, Tarsius (the small monkey-like primate), deer, anoa (a miniature water buffalo endemic to Sulawesi), cuscus, hornbill birds, Sulawesi masked owl and many others. 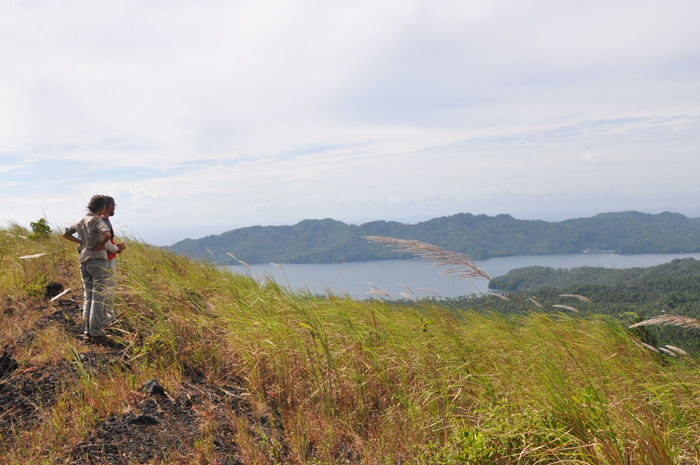 The peak of Batu Angus volcano (1.099 m) offers a great view over its caldera with rocks of cooled lava, Tangkoko-Batu Angus nature reserve and Lembeh Strait. 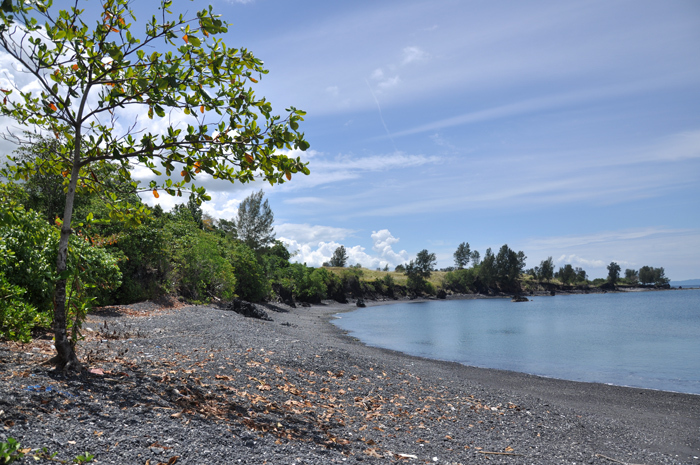 You can spend a wonderful day here filled with hiking, enjoying the rough lanscape and the beautiful rocky beaches. The trekking starts from Kasawari village. You start with a 1 hour hike up to the peak of the Batu Angus volcano with its 3 km wide, flat-topped basaltic-andesitic lava dome. After that, you will make a 2 hour trek through the beautiful jungle. Considering the fact that there have very little tourists visiting this area, the animals are “really wild & shy”. Thus, you may not be able to see them as close as in Tangkoko nature reserve. This is a half day trip, and you will be back at the resort at lunch time. 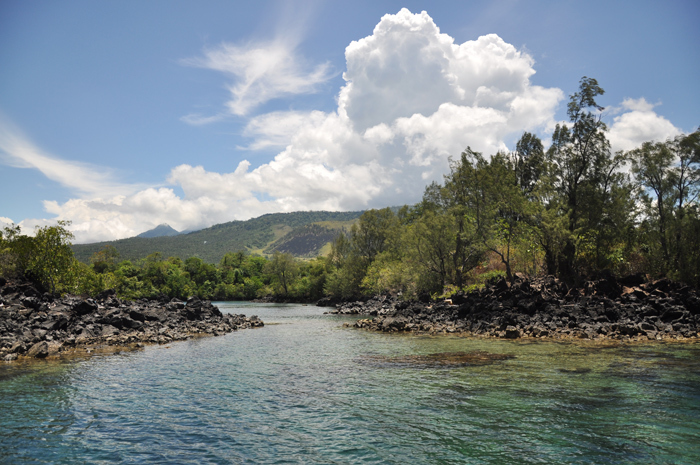 Including: boat transfer, car + driver, drinking water, soft drinks and fruits, packed breakfast. 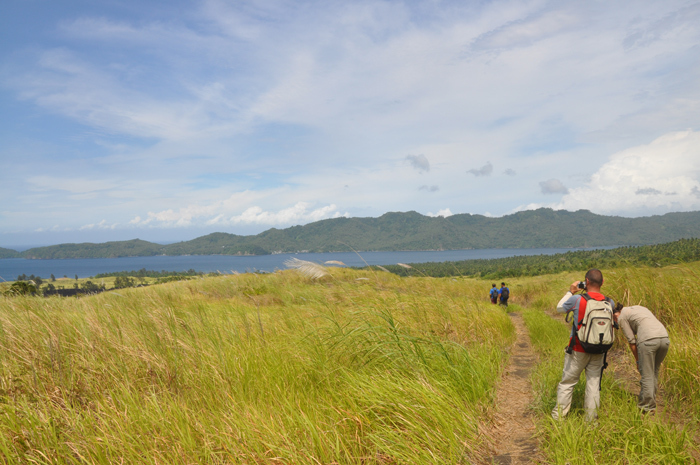 What to wear/bring: Long sleeves, long pants (some part of the trekking is through the bushes with sharp leafs) and proper trekking shoes (or at least sneakers), as the dome area consists of sand and sharp rock pieces. Also bring a hat and use sun block as it can be very hot at the peak. Use mosquito repellent before entering the forest and bring an extra T-shirt.